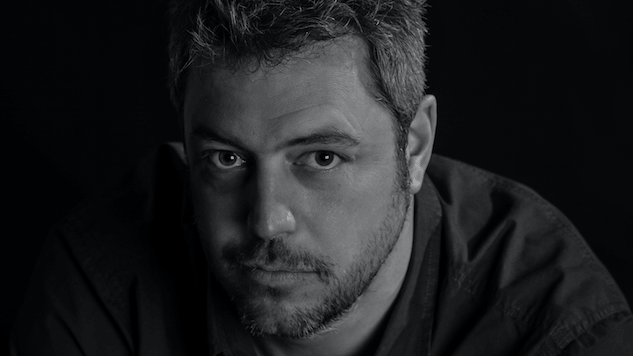 The Good Mothers: Women Are the Key to Breaking the "Most Powerful Organized Crime Outfit on Earth"
Alex Perry is the author of The Good Mothers: The True Story of the Women Who Took on the World’s Most Powerful Mafia, which was published by William Morrow this week. In the three years between Cucino a Mio Modo’s (“I Cook It My Way”) opening in 2012 and sudden closure in March 2015, regulars liked to congratulate themselves on discovering an authentic Italian restaurant in Queens. There was something about the $15-a-bottle homemade wine, the Calabrese pizza with fiery ‘nduja sausage, the cow bells hanging from the ceiling and the Gigliotti family that ran it that transported customers four and a half thousand miles away to the old country. So it was something of a shock when, in April and May last year, 61-year-old Gregorio Gigliotti, his wife Eleonora and his son Angelo were sentenced to 18, 7 and 20 years in prison. The reason? Using the restaurant as a front to import $10 million in cocaine for the world’s richest and most murderously ruthless mafia. The detail from the case that lingers, detailed in the FBI’s arrest warrant, is how, in a tapped phone conversation in 2014, Gregorio teased his wife, “You still don’t know me, even you?” He then revealed that he once ate a soffritto made from the kidney and heart of a man who owed him $20,000. Gregorio’s question to his wife—”You still don’t know me?”—could have been a warning to U.S. law enforcement. The FBI’s investigation into the Gigliottis revealed them as the U.S. arm of a clan belonging to the Calabrian mafia, the ‘Ndrangheta (pronounced un-drung-get-a), based in the toe of Italy. The network was smuggling kilo packages of cocaine in the lining of cardboard boxes of cassava from Costa Rica to New York and Italy. A related investigation led police in Spain and Holland to a three-ton cargo of cocaine. Both of those investigations grew out of a February 2014 bust of a global heroin and cocaine smuggling ring that allied the ‘Ndrangheta with associates of New York’s Gambino crime family, in which a ton of cocaine was dissolved in cans of coconut and pineapples and smuggled with the help of Mexican cartels. In reality, the ‘Ndrangheta established its footholds in the U.S. long ago. The first recorded presence of the group in America was in 1906 when a Calabrian protection racket was found to be operating in Pennsylvanian mining towns. But in truth, the U.S. authorities can be forgiven their ignorance. Until the last few years, even the Italian state knew very little about the ‘Ndrangheta. 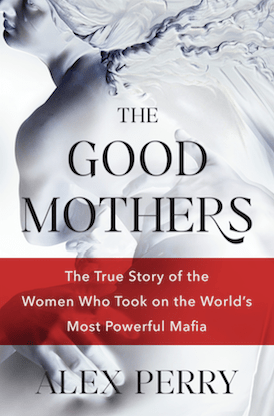 As I relate in The Good Mothers, the first time the Italian judiciary gained a detailed look inside the organization was when four mafia women—three wives and one of their daughters—testified in return for witness protection. Though they began giving evidence more than 20 years ago, the prosecutions that resulted only concluded last year. What those cases revealed was a global monster. Italian prosecutors now describe the ‘Ndrangheta as an organization with a presence in 120 countries which earns an estimated $50-100 billion a year, or 3.5% of Italian GDP. It controls 70% of the cocaine in Europe. It extorts Italian businesses for billions of euros a year. It embezzles billions more from the Italian state and European Union. It runs a global gun-running business. And it manages a money-laundering industry which cleans wealth for organized crime the world over and which ensures they are in all of our lives: We work in their companies, live in their buildings, eat in their restaurants and elect politicians they back. By almost any measure, the ‘Ndrangheta emerges as the most powerful organized crime outfit on earth. The women’s decision to break with their families and everything and everyone they’d ever known was motivated by a desperate desire to escape the murderous misogyny that pervades the ‘Ndrangheta’s traditional family structure. Women are kept in the house, regularly beaten, married off at 13 or 14 in arranged clan matches and, if they are unfaithful, killed by their father or brother or son, their corpses dissolved in acid to erase the family shame. The women of The Good Mothers wanted a different life for themselves and their children. Their choice came at huge personal cost; not all of them survived. But their legacy was to finally drag into the light the world’s most powerful mafia, shattering the secrecy and ignorance with which it cloaked its influence. This is not a myth or a movie. It is now, and it is here. And if the U.S. authorities, along with law enforcement around the world, are finally waking up to the giant organized crime group in our midst, it is in large part thanks to four southern Italian women who first had the courage to break the silence. The Good Mothers is available for purchase here. You can learn more about the book at Perry’s website.